ISTANBUL, February 11. /TASS/. 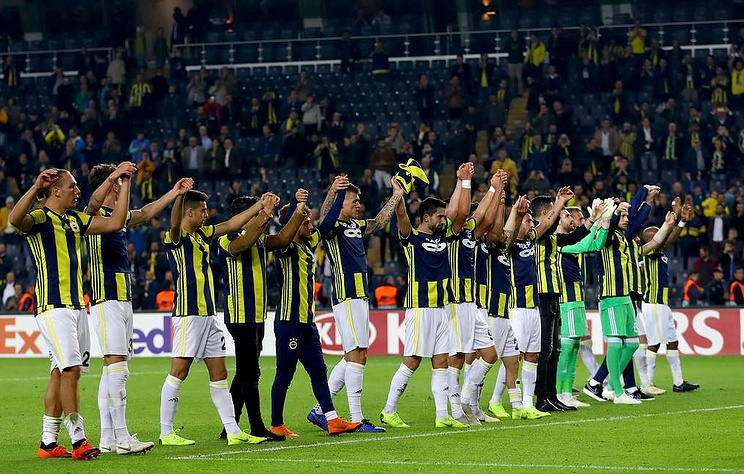 The players of Turkish football club Fenerbahce are facing a tough two-match encounter with Russia’s Zenit St. Petersburg in the Round of 32 of the UEFA Europa League, Fenerbahce Head Coach Ersun Yanal said at a news conference on Monday. Fenerbahce and Zenit are set for the first leg clash of the UEFA Europa League’s Round of 32 on Tuesday night, February 12, at the Sukru Saracoglu Arena in Istanbul. The match kicks off at 20:55 Moscow time. "We will be playing against a very good team, which currently holds the leading position in its national championship," Yanal told journalists. "We are expecting the most difficult two-match encounter, which we hope to win." "Tomorrow we are playing on our home turf in the presence of our fans, who have always inspired us and I hope that tomorrow’s game will not be an exception," the Turkish coach stated. "Our opponent has always maintained the good shape, even if it had practicing matches," Yanal said. "The other benefit of Zenit is the club’s long bench of substitutes." "If we speak about our club, I should say that we chalked up the tactics for the upcoming two matches and, as I have said before, we have our football fans," Yanal added. "I believe that both clubs have equal chances of winning." The return match between Fenerbahce and Zenit is scheduled to be played on February 21 in Russia’s second largest city of St. Petersburg.